Plastic surgery can be a transformative and uplifting process, but it’s not without its risks. Meet several local doctors who suggest how patients can get the best results. Most people who consider having plastic surgery want to look and feel better about themselves. But along with cost and convenience, they should consider safety issues carefully, since all surgeries carry risks. It’s not just a matter of finding a reputable plastic surgeon. Patients also must set realistic expectations about their outcomes. The surgeon’s experience and credentials, the surgery room and the quality of the support staff can make or break an operation. Patients are well-advised to seek highly-qualified practitioners and accredited facilities, even if it means spending more money, says Dr. Philip Lambruschi, partner in Valley Plastic Surgery Center, 350 S. Eighth St., West Dundee. He urges people to seek board-certified plastic surgeons through the American Board of Plastic Surgery, the oldest and largest plastic surgery specialization organization in the world. Accredited by the American Medical Association, it offers an interactive online physician directory at www.plasticsurgeon.org. Patients also should ask where a surgery will take place. Any operation performed in a hospital is usually safe, because hospitals require surgeons to be board certified. If the surgery is to take place in the doctor’s office, it should happen in an accredited surgical center, not in an examination room. Lambruschi also warns against agressively-advertised plastic surgery centers, where patients don’t see their surgeons until the day of the procedure. “Sometimes [other doctors’] patients come to me with complications, and when I ask why they haven’t gone back to the surgeon, they tell me the doctor is no longer there,” he says. Along with finding a qualified surgeon, patients must do their part to ensure an optimal outcome. Lambruschi urges patients to adhere to a strict pre-op schedule that includes a 10- to 14-day abstinence from caffeine and aspirin-based medications which thin the blood. “We also ask that they stop all herbal remedies,” he says. Patients should do their homework and know what to expect. For example, liposuction is a highly requested procedure, but its main purpose is body scupting, not weight loss, as many patients mistakenly believe. Liposuction reduces bulges and rolls but can leave patients with sagging skin. Non-certified doctors who offer liposuction often fail to provide the necessary skin tucks that should augment liposuction. Ferreting out patients with unrealistic expectations isn’t always easy, but it’s an important part of the surgeon’s role, says Dr. Gunnar Thors, Midwest Plastic Surgery, 1474 Merchant Dr., Algonquin, a board-certified plastic surgeon. 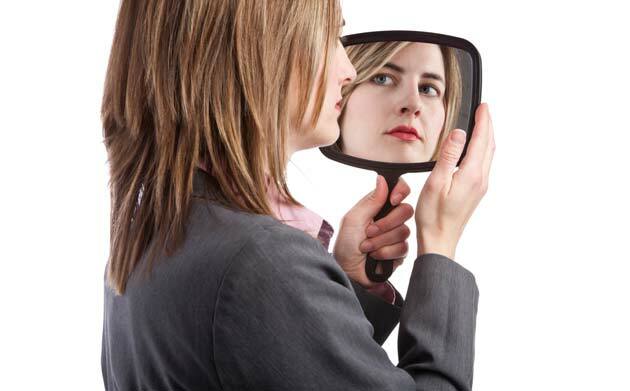 Screening out patients who may have psychological body image problems is better for patient and surgeon, Thors says, since such patients are unlikely to be satisfied no matter how well their procedures are performed. 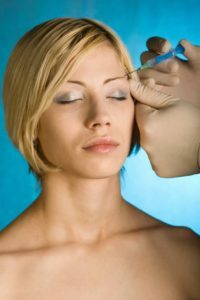 Botox injections can help to smooth wrinkles, but they also can cause eyelids to droop or brows to look crooked. Such surgery may be performed at any time after age 4, and there are even new procedures for molding an infant’s protruding ears without surgery. Thors performs chin implants, often in tandem with a facelift or other procedures, “to correct a slight imbalance to the face. A small, silicon implant actually sits on top of native chin bone.” One of the most commonly performed procedures is nose reshaping, or rhinoplasty, often done to correct a breathing problem. “Patients might request some cosmetic improvement as well, since we’re in there doing it,” Thors says. This may mean smoothing out the dorsal hump on a nose, by shaving the bone down. Bulbous nose tips are also a common site for repair. To plump up a face and add youthfulness, Thors performs a procedure in which body fat is harvested from the lower body and injected into areas of the face. “This is a little more involved than injecting a filler, but it has the advantage of being your own fat,” he says. One of the main goals for a plastic surgeon is to help improve a person’s self-esteem through natural-looking results, says Dr. Jennifer Hein, a board-certified plastic surgeon at The Women’s Institute, which has full-service clinics in Geneva, Naperville and Sycamore. Hein and her team specialize in Botox treatments, cosmetic fillers, laser hair and vein reduction, RF wrinkle reduction treatment and medical-grade skin care products. When it comes to Botox, there’s much to consider. A derivative of the botulinum toxin, Botox must be diluted and handled with care. Hein says the number of injections given in a session depends upon the patient’s particular situation, and certain guidelines and standards. Injections follow certain muscles, and can be repeated, in most cases, in three to six months. Although Botox has been used safely for decades, it’s not without risk. Hein warns that some patients can experience drooping eyelids or other undesirable side effects. She advises patients to seek Botox only from qualified physicians. To find a reputable professional, Hein encourages potential patients to visit BotoxCosmetic.com, which offers a directory of physicians who buy directly from Allergan, the parent company of Botox. If a physician fails to appear in this directory, he or she may be purchasing supplies from a questionable supplier. Patients should also be cautious about overusing filler injections, Hein says. Used to plump lips, fill in smile lines and smooth jowls, fillers usually help patients to improve their facial appearance for about six months. Plastic surgeons should advise patients on whether or not a procedure is feasible. Ultimately, it depends on the patient’s skin and muscle construction, and overall anatomy. “It is the job of physicians or qualified nurses to let patients know if the work they want done is unnecessary or unhealthy,” Hein says. Many of her patients seek operations because they’re unhappy with their bodies or faces. In many cases, it’s a concern they’ve carried with them since late adolescence. Some women go through their young adult years with uneven or abnormally shaped breasts. “They spend years trying to hide the problem,” Hein says. The plastic surgeon’s role is to assess patients and uncover what is truly bothering them about their appearance. Once Hein discovers the underlying need, she finds solutions, in many cases, to help patients feel normal and to feel better about themselves. A reputable surgeon should have experience, intuition and sensitivity, and should put patients’ interests ahead of profit, Hein says. That’s why she and her colleagues emphasize the importance of choosing a reputable surgeon who is trained to provide a safe, positive experience. For resources on finding a reputable plastic surgeon, Hein suggests PlasticSurgery.org. The site includes a list of physicians certified through the American Board of Plastic Surgery, the oldest and largest plastic surgery specialty organization. For patients who desire small, subtle improvements, Bella Vie Medical Spa, 1975 Lin Lore Lane, Elgin, provides a selective range of procedures. Dr. Ana Gephart, an internist for Provena Saint Joseph Hospital, Elgin, has practiced medicine for 15 years and has offered dermal injections for a decade. She opened her ultra-conservative medical spa at the urging of her adult patients. Gephart believes in helping middle-aged patients who need a boost in self-esteem, she says, but her first concern is primary care. She cautions patients about Botox treatments because of the dangers inherent in improper or excessive use. Gephart works with Angela Bernard, a state-licensed esthetician skilled in using a range of lasers to reduce the visual effects of acne scarring, sun damage, hyperpigmentation and wrinkles. Bernard also offers diamond-head microdermabrasions, professional chemical skin peels, micropigmentation and treatments that tighten and rejuvenate the skin. Successful treatments require careful evaluation of each patient’s skin type, quality and tone. Procedures can take from 15 minutes to about one hour and may need to be repeated to completely resolve skin issues, she says. “It’s nice to see patients leave smiling,” Bernard says. This entry was posted on Wednesday, August 31st, 2011 at 11:59 am	and is filed under Health & Fitness. You can follow any responses to this entry through the RSS 2.0 feed. Both comments and pings are currently closed.